One thing I always have in our home is fresh flowers. They don't have to be expensive flower arrangements either. In the winter I will cut holly off a tree from the yard for an instant red and green arrangement. In the spring I like to cut wildflowers and plop them in a container. 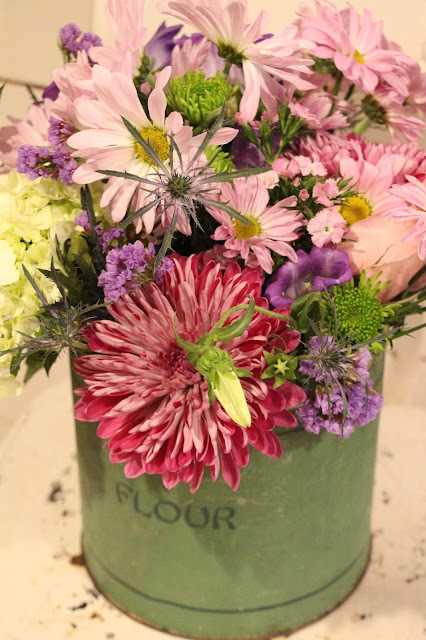 Whenever flowers or greens aren't available for picking, I will pick up inexpensive bouquets from the grocery store. 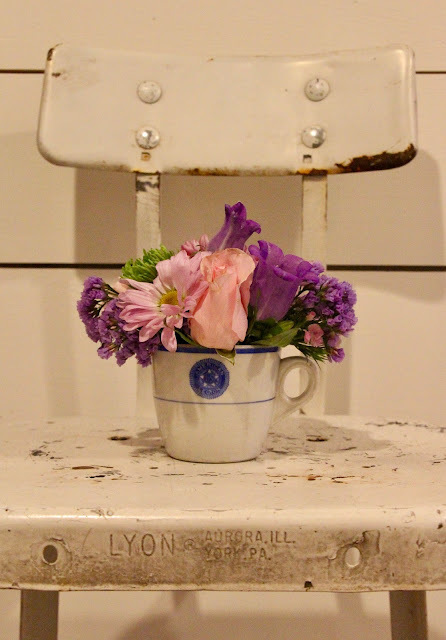 I thought I'd share with you today how I created 3 different arrangements from one bouquet of grocery store flowers. 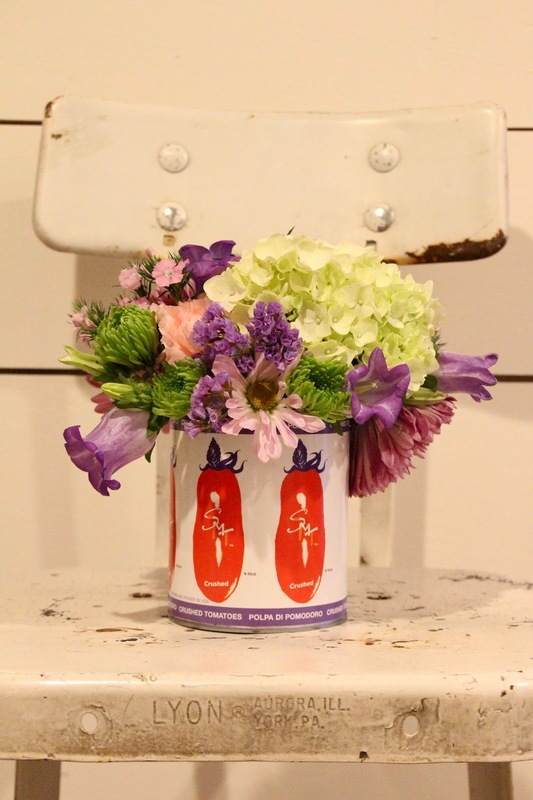 You can also get creative with the containers you put them in as well. 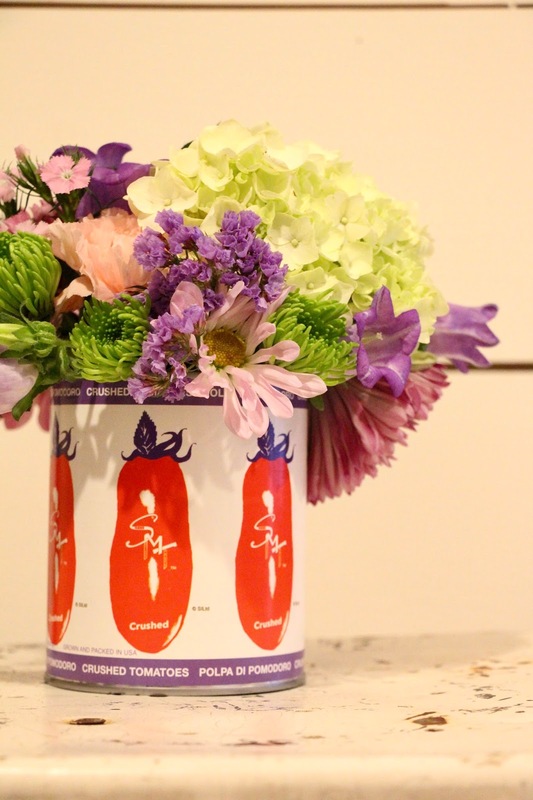 When I was at the grocery store I bought some canned tomatoes and after bringing them home, realized the container coordinated perfectly with the flowers! Trader Joes has great packaging on some of their foods, perfect for this project. I love how "un" perfect they are, exactly the look I was going after. Another arrangement I made was in a thrift store coffee mug. 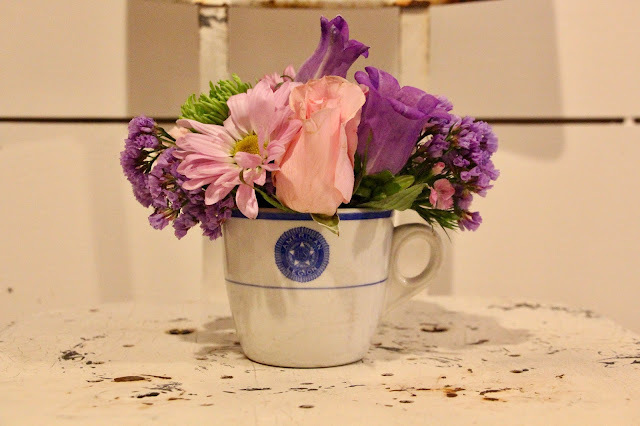 It's a small arrangement that would look great tucked on a shelf or on a tray on a coffee table. And finally, when looking to make a simple farmhouse flower arrangement, again, look in your kitchen cupboards. 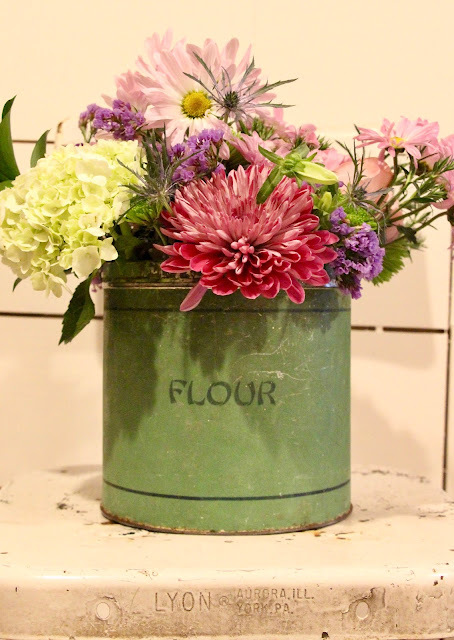 I have this old green flour canister that works great as a vase. 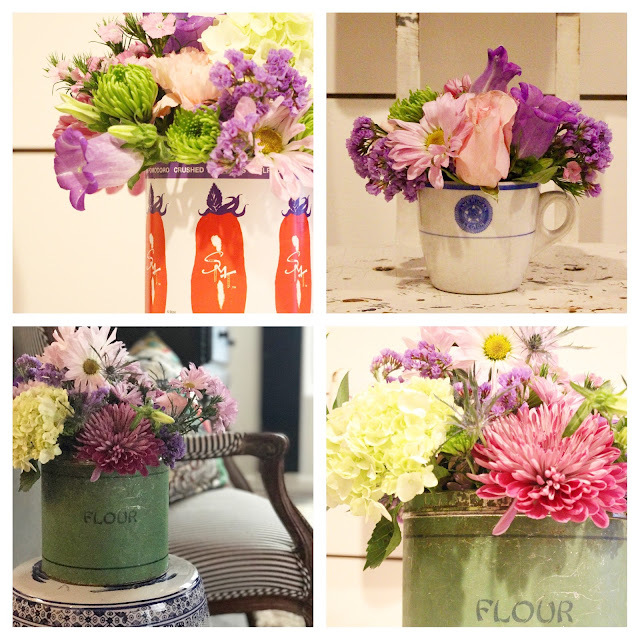 One bunch of flowers made 3 different simple farmhouse arrangements. You don't have to use any fancy expensive vases. Just poke around your kitchen and see what interesting containers you can come up with. Love the arrangements. Isn't it awesome how one flower bunch can be so much more. Thanks for inspiring me today! Super cute arrangements! I love buying flowers at Trader Joe's too!!! You just inspired me to pick some up....happy Thursday! I LOVE having fresh flowers in our home as well! They add so much life to any room. And I love the containers, so practical but beautiful! Really a great work shared here with us. Keep sharing more with us. waw. that so cute and awesome to share. 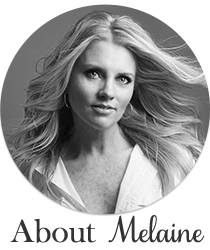 I like it, and next, I will browsing your blog to enjoy another post. That Amazing, nice post bro, its useful for the visitor like me.